Why hello there! Nice to meet you! 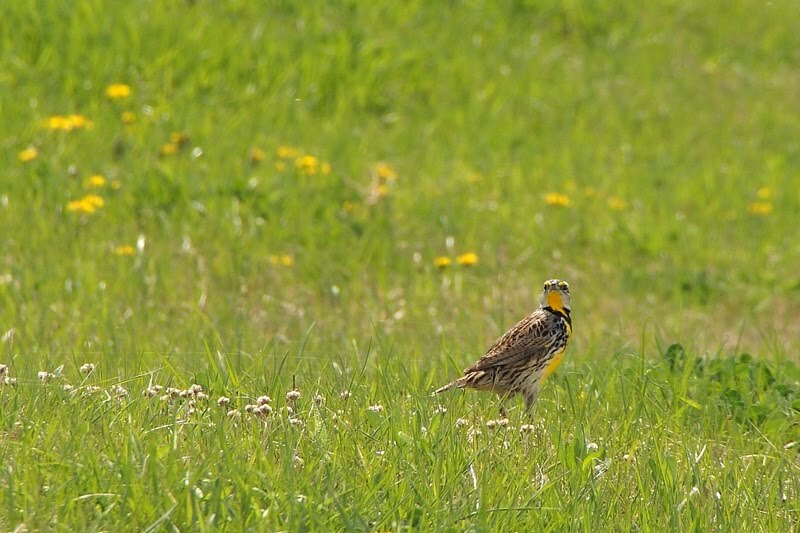 My name is Meadow Lark. 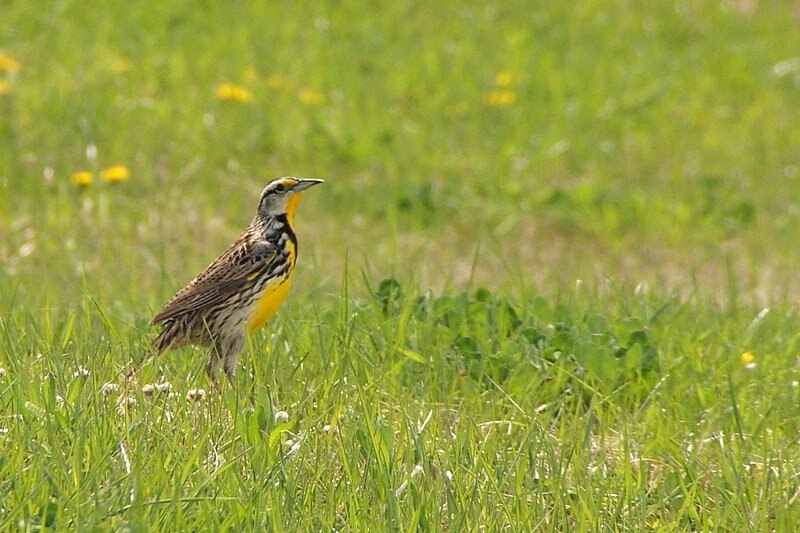 No, no, there's no need to call me Mr. Lark. We don't need to be that formal. So, you'd like to take my photo, huh? Do you prefer the side view? I really am gorgeous at all angles. You want me looking at you? Or, do you want me acting pensive? Woman!!! Are you even listening to me?!?! if you aren't listening to me??? Please notice how my colors are coordinated with the Dandelions. Yeah, I planned it that way when I got ready this morning. I could be in commercials, don'tcha think? I could be the cover photo of something like a lipofuze review, right? Yeah, I've got it going on. I'm what they call. HHHHHOT! When you've got it, you've got it. Ya know? Yeah, H.O.T.! Like sizzlin'. Like FINE! lol... very funny! I love that bird. It's beautiful. What a beautiful and colorful bird! Great find and capture! A talking bird, I love all the angle of the photos it seems he is well trained in photo taking.lol The color also blend with grass and flower. Perfect composition. Beautiful meadowlark. You are too funny! 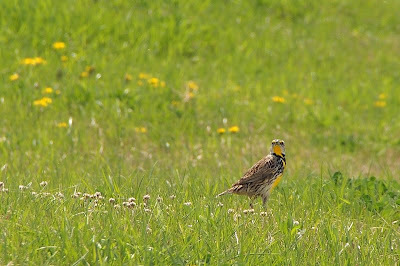 Misty: Neat capture of the Meadowlark, I still hope to add it to my list. Beautiful bird and photos, Misty! What a pretty bird and so willingly posing for you. 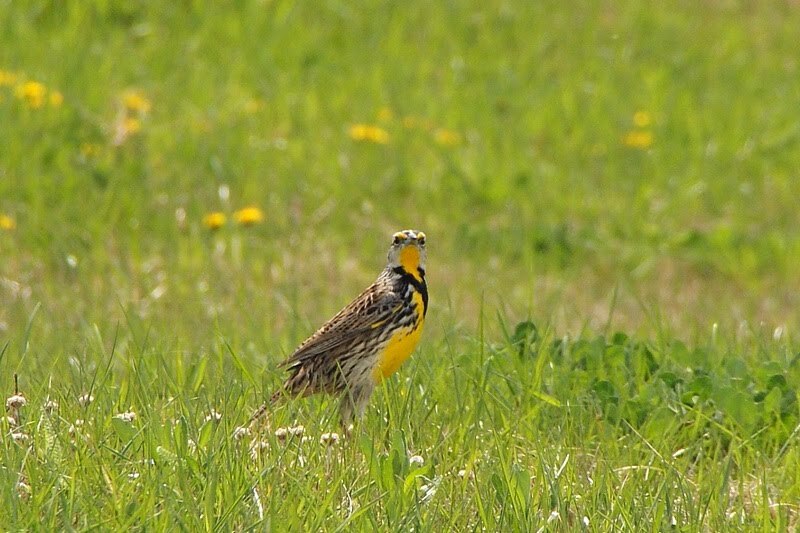 great photos of the meadowlark, we don't see this bird in our gardn. 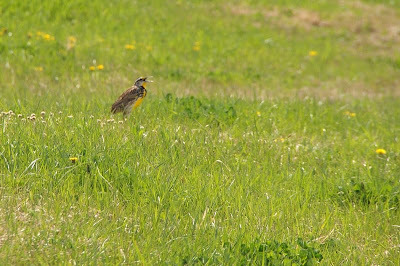 I so love to hear their song in the morning, early!! Wish we had 'em here on the coast...we have to drive up north toward Oklahoma. lol. The last picture is my fave! What a cutie. I've heard the meadowlarks on birdwalks in the past but never could see anything in the tall grass. Glad to finally see one - larger than I imagined. Oh, yes - he is definitely gorgeous! I like these photos too. It is hard for me to entice these creatures into my backyard but I did once. Very neat bird... I work from home making personalized party favors and often have the opportunity gaze out the window at neat birds and other critters. I should definitely start capturing them on camera. 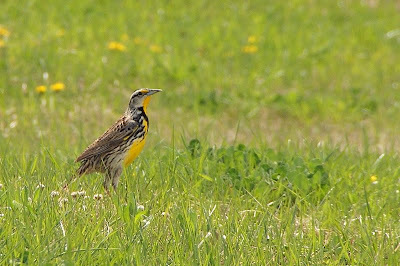 i love meadowlarks, they're beautiful birds! He sure posed for you, too - great shots!